This week we have a guest blogger, a parent, Mrs. Sudha Mane. At Advanced Eye Hospital, we usually ask our patients for a few words as testimonials and feedbacks. We were more than thrilled when Mrs. Mane volunteered with an entire article, sharing her experience with us.. There is a stark difference in the decibel levels before and after 5 pm. The faint chirping sound of the birds that are heard in the pin drop silence of my home are replaced by the chirping of my 10 years old daughter, Mayuri. Which boy pulled her pigtails, what her best friend had to say about the latest movie, which teacher punished their class and much more, Mayuri would not rest until the entire day’s highlights were narrated with dramatic detailing. That day, Mayuri just went on and on about how splashing water is bad for one’s eyes and how I should use good quality eye make up! 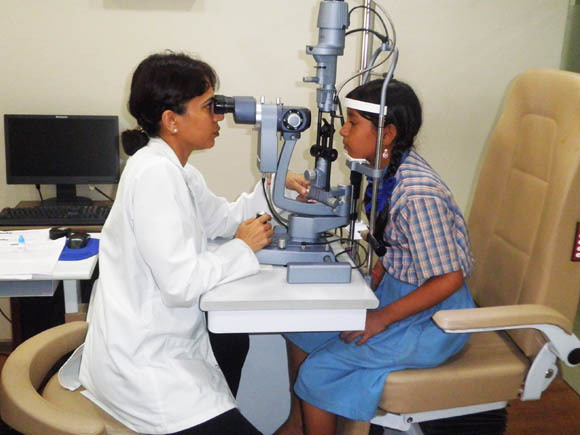 Apparently, some eye hospital in Navi Mumbai had started an eye care initiative in schools. She was so excited about how they could skip history class because some eye specialist had come to their school to talk to them about eye care! When I tried asking her who this eye specialist was, she rummaged through her bag, fished out some information booklet that had been given to her, and skipped off. Like all Indians, my eyes too widened on seeing the ‘free eye check-up’ that was offered for all kids as part of the initiative. I thought, why not? I never had any concerns with Mayuri’s eyes. Though she had glasses, but a trip to the opticians once in 2- 3 years would suffice, I thought. I was horrified when the doctor told me that Mayuri had developed something called ‘Retinal Detachment’. The doctor explained that this is an eye condition that affects the retina which is the photo sensitive layer lining inside of our eye. It is the layer which has the nerve cells that pass on the visual information to the brain, which is “how we see”. In people with higher spectacle numbers for near sightedness, there is a chance of this layer getting separated. If the retina gets separated from the underlying layer that supplies nutrition and oxygen, the affected eye is at risk of permanent blindness. 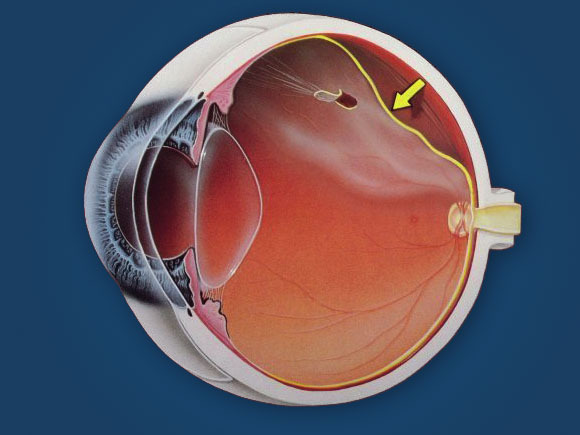 Retinal detachment or RD as it is called, is usually commoner in the older age group. But yes, some rare unfortunate kids like my daughter also suffer from RD. The retina specialist at Advanced Eye Hospital in Navi Mumbai, then went on to telling me that this was an emergency situation. If we had to save Mayuri’s eye, my 12 years old girl would have to undergo eye surgery at the earliest. To be honest, my first reaction was disbelief. I could not believe how Mayuri had never realised anything until now! The retina specialist patiently went on to explain how her other eye had learnt to compensate, which is why she must not have noticed any change in her vision. 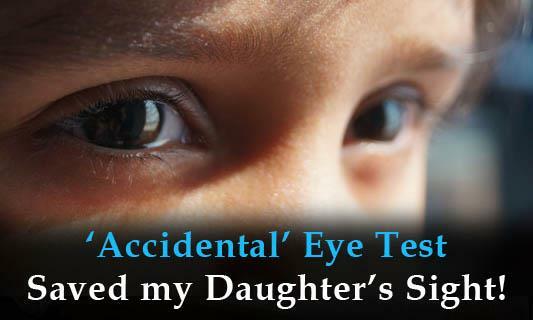 The next few days were hazy and my anxiety levels only ebbed after Mayuri had undergone her eye surgery and the follow ups showed that she had not gone blind from the Retinal Detachment. Today, I cannot stress enough on the importance of an eye check. Had it not been for the enticement of a “Free” eye check, I may never have known about Mayuri’s eye problem in time. I have always been a sceptic when it comes to “free” or “discounted” things, but this accidental yet thorough eye test saved my daughters’ sight!